Ember and ash from your fire can make a mess. 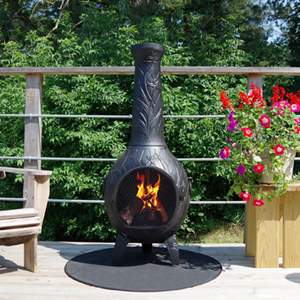 Protect your deck or patio with a non-flammable pad from The Blue Rooster Company. 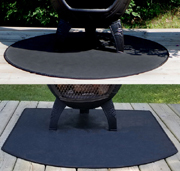 Our fire resistant pads keep your patio area clean and preserve the surface on your deck or patio. 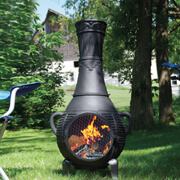 Not recommended for fire pits or chimineas with less then a 6" bottom clearance. If you have any questions please call before ordering. Please choose a model below.